This little primer on blogging offers assistance to get you started selecting blog post topics and choosing unique attention-getting perspectives. 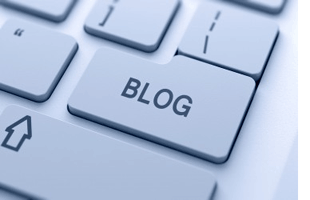 The quality of any blog depends entirely on the quality of the content. Here are some tips for getting started and staying focused as you carve out your expertise niche on the web. A good blog should provide useful content for its readers. Blog readers are generally not looking for a thesis or even a full-length news story, but instead are scouting for quick and practical information on a topic that is important to them. You want your readers to bookmark your blog as a “favorite,” link to it from their own Websites and blog-rolls, and/or tweet about it and promote it in social media. In short, you want readers to find it useful enough to revisit and socially propagate. If you are lucky enough to attract readers who are reporters or media members, you want them to feel invited to call you, quote you and interact with you as often as possible. But no matter who your blog attracts, it will enhance the search-engine ranking of your professional Website if properly linked. Recommended articles from around the web. Does Your Firm Need A Marketing Director? How Many Marketing People Should We Have on Staff? Self Assessment: Is Your Law Firm Really Marketing?